Well, what if there was a news report on Day 2 that causes the euro to drop across the board. 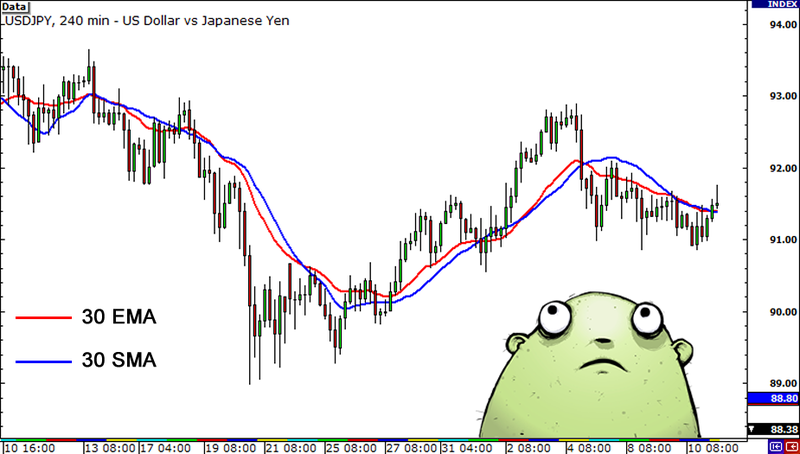 The result of the simple moving average would be a lot lower and it would give you the notion that the price was actually going down, when in reality, Day 2 was just a one-time event caused by the poor results of an economic report. 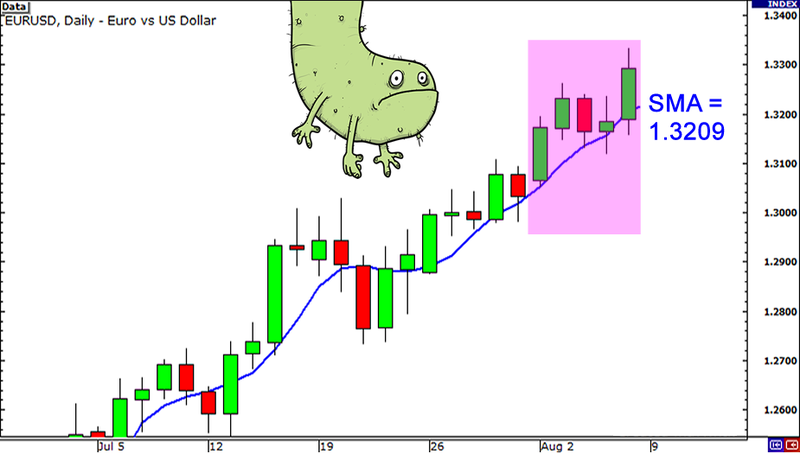 The point we’re trying to make is that sometimes the simple moving average might be too simple.